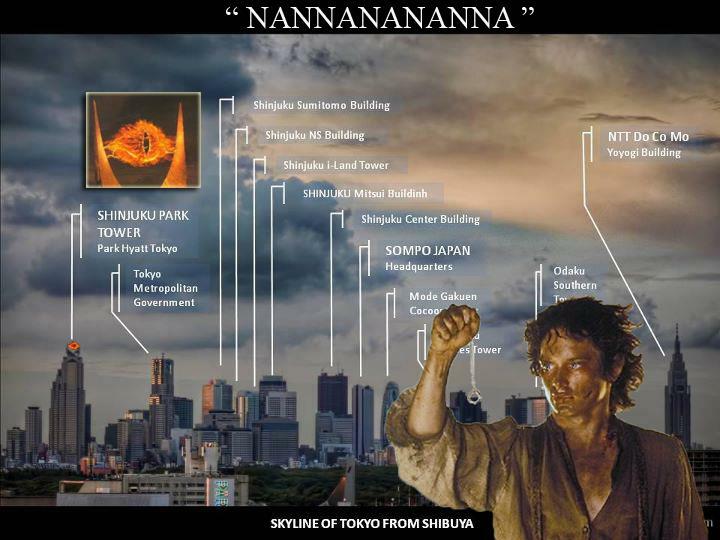 From the top of some of the Shibuya highrise hotels you have an unfettered view of the Tokyo Skyline into Yoyogi Park and Shinjuku. In the photo above I've detailed all the various buildings you can see. 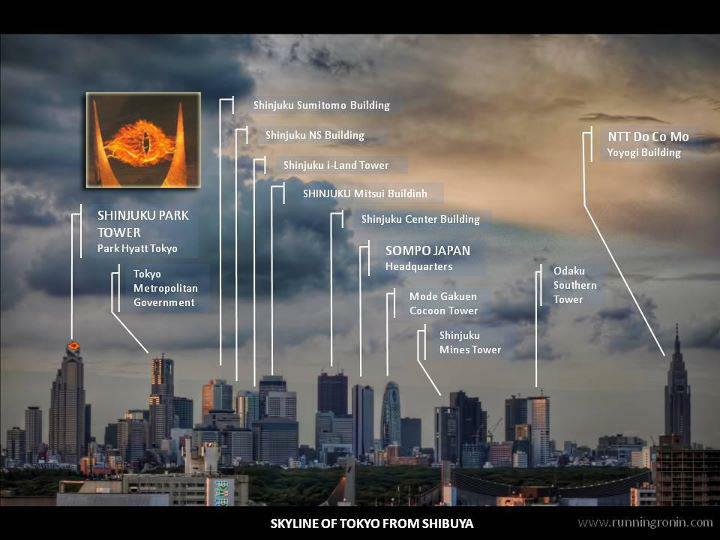 The most interesting buildings are probably the Park Hyatt (most of the movie Lost in Translation was shot there) and the Gakuen Cocoon Tower, which reminds me of a index finger. The original photo I shot is (in high rez) below.